It is an Online Social Forum and Marketplace for Movie Buff. You can discuss and get any information related to new and old movies with our friends and families. You can also browse our website for many other useful information. We cover areas like beauty, fashion, health, fitness, movies, photography, arts, sports etc that you hold dear to your heart. 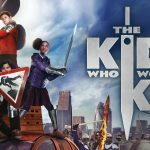 [Movie Review] The Kid Who Would Be King – Wholesome and Entertaining, but Tanked at the Box Office?